David first started building muzzle-loading rifles as a hobby in 1960. He was self-taught until he attended the gun building classes at the University of Kentucky. While at the university he took instructional classes from Tom Rendant in metal engraving, carving with Wallace Gusler in 1996 and carving again from John Bivins in 1997. These classes were the turning point in his gun building career, leading him into full-time gun building in 1998. David is a charter member of the Contemporaty Longrifle Association (CLS), a member of the National Muzzle Loading Rifle Rifle Association (NMLRA) since 1990, a juried member of the League of the New Hampshire Craftsman and a member of the NRA. 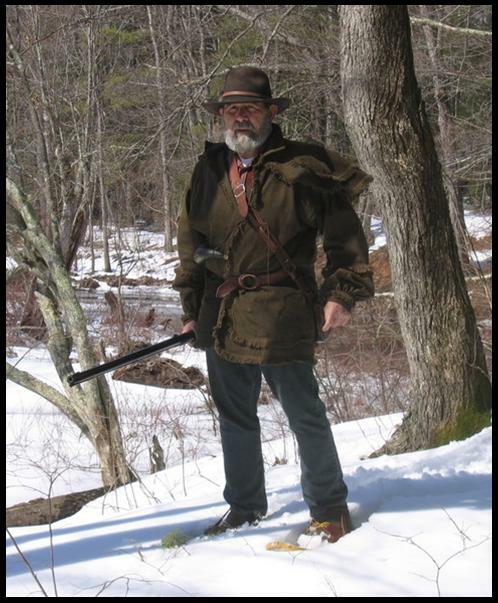 David enjoys many things about his craft, including hunting with the flintlock rifle and primitive biathlons (wooden snowshoes and traditional muzzle loader). 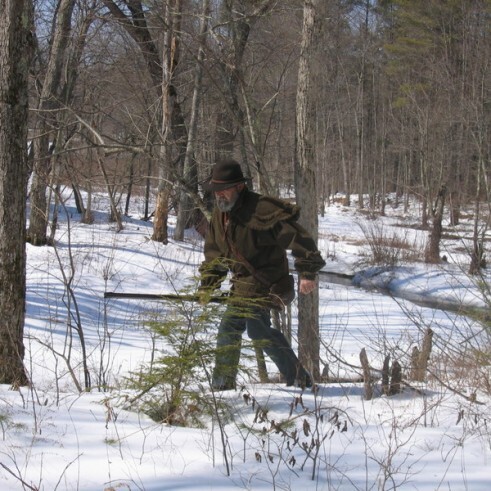 His favorite things to do include occasionally teaching gun building classes in his shop and giving shooting instructions of the flintlock rifle at the “Outdoor Woman’s Program” for the New Hampshire Fish and Game. In June, you will find David at the NMLRA National range where he shoots competively and displays his latest creations in Gun Builders Hall. In July, he is usually at Dixon’s Gun Makers Fair in Pennsylvania. While at Dixon’s he has a display table and also has seminars on gun building. During the month of August, he attends the Contemporary Longrifle Association’s annual meeting where he has a display table. David has developed two “rifle building kits,” including a swivel breech rifle kit and a New England style rifle kit. Over the years, he has built many different styles of rifles but his first love is building swivel breech flintlock rifles. David and Esther have been married 59 years as of 2016, married October of 1958. They reside in Hopkinton, New Hampshire, where they turned their vacation spot into their full-time home in 1986. Their two children, David and Pamela, live only minutes away, allowing David and Esther to be very close to their four grandchildren. Click on any blue links above to learn more.